We all love our children more than life itself. We would do anything for them. That is one of the most difficult things about having a child with special needs — there are things that you cannot solve or help with. For most families with special needs kids, that is reality on a daily basis. 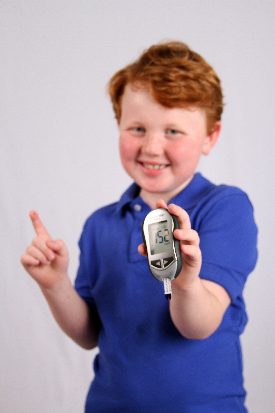 My son was diagnosed with type 1 diabetes at age three, just two weeks before Christmas. It was difficult to hear the news and comprehend the ramifications of this serious, life-threatening condition. It took time to fully internalize the impact. The first few days in the hospital were traumatic, filled with blood drawn, constant finger pricks, and shots. My son was terrorized. 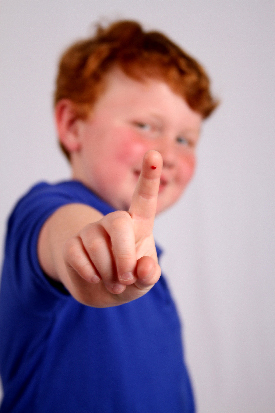 As I lay in the hospital bed with my son at night, I was unraveling the hand he had been dealt. His young age spared him some of the emotional work but it was passed on in full to his mother and me. There is a constant, ongoing awareness and responsibility that goes along with any special needs child that only parents in the same or a similar situation can possibly understand. Many of those concerns are lifelong. However, it is not all bad. Almost from the beginning, even before we arrived at the hospital, I had a heart-gripped determination to turn a negative into a strength forged with the power of being a father. 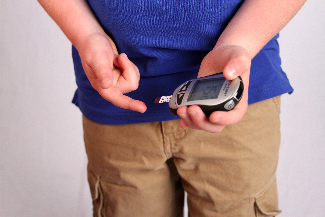 While the reality of diabetes does not leave us, we have worked as a family to move beyond the condition and realize and capitalize on my son’s gifts. They are many. Since our son’ s diagnosis, my wife and I have encouraged play, imagination, and realizations of strength. Whether he is watching Superman on TV or eating his chicken to build his muscles and become stronger than he thought possible, at every turn we encourage accomplishment and the power to overcome. In our minds, intimate understanding of his ability to achieve may be the very thing that saves his life one day. This journey of empowerment began on just the third day in the hospital, with my son’s first challenge being needles and shots, given every few hours. While I tried to imagine the challenges of facing those fears from the vantage point of being three years old, it was he who had to deal with them. Together that night, we crafted a game of giving each other big, fake, painful shots by pinching up skin and using our fingers as needles. It was a painful game that hurt much more than the real thing. When the nurse came in the room later with another round of shots, my son composed himself and took the shot without complaint. He looked to me as only a son can, as his father and his guide, and he overcame his fear and learned to accept and deal with the pain on his own terms. There are moments in life when proud is not a big enough word. The one person who has helped us more than anyone has been our son. His attitude. His demeanor. His acceptance. His intelligence. They have all come to bear. We always strive to make life easier for him, when in truth, he has made it easy for us. Our son is about to enter the second grade. He has a talent for music, which he gets honestly through me from my father. He has a wonderful voice, which he gets from his mother. He has a knack for building and visualization, and is reading on at least a third- or fourth- grade level. Together we are reading The Hobbit, taking turns reading pages. He enjoys playing sports with his friends and just playing in general. He is also a natural at video games and loves his iPad. In short, he is a normal kid with a lot of plusses. Special needs come in many forms for kids. They can be mental or physical — sometimes life threatening. But they all have something in common — children and parents. My wife and I have a different perspective and even a reverence for life that we share with countless moms and dads facing similar situations with their kids. We understand what many people take for granted. We are grateful for our son’s life, and that his condition can be managed. Many families are not as lucky as we have been. With a wonderful son and an equally wonderful daughter, we count our blessings every day. I have a routine at bedtime that I go through with my children. I ask them what they did that day and then ask them to name their favorite thing they did. As they recall that favorite thing, they are reliving the best part of their day. Knowing to count one’s blessings is a life gift. Now seven years old, when it comes to hardship and overcoming life-challenging obstacles, our son has taught us more than we have taught him. Every day, he takes eight to10 finger pricks and four to six shots with grace. He stands before his peers, who often look at him in awe as, without wincing, he holds out a finger to check his blood or an arm for a shot. When he feels the social pressures of being different because he must consider his foods, patiently waits for his insulin before he starts eating, or goes “low” while playing a basketball game, he passes it off with a grace and composure that most of us have to imagine possessing. 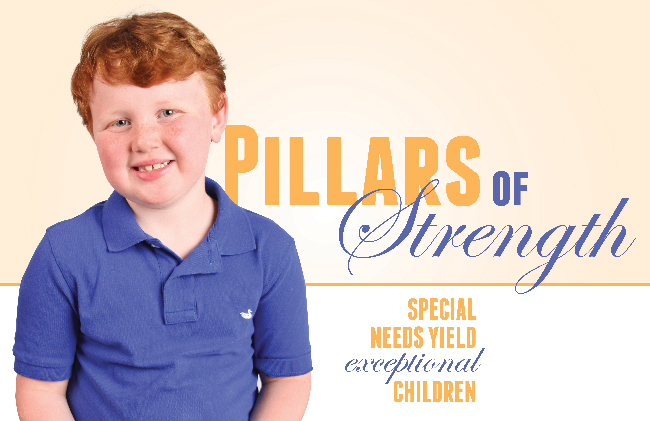 The biggest difference in special needs children is beneath the surface, where a very young person deals with issues most adults do not have to endure, and navigates his or her circumstance though the fears and expectations of a child. They are normal children in almost all ways except how they are seen by others. While they are unable to do some things other kids can do without a care, in other ways they have achieved strengths not attained by others, even as adults. When you meet parents with children who have special needs, know that they go through events, carry responsibilities, and manage worries that most parents cannot imagine, and almost always without ever having a break. They are models of vigilance, perseverance, and love not because they have to be, because they choose to be. They are some of the strongest people you will ever meet because of their children, who are the strongest of all. Every child has challenges, and some are greater than others. Every child shines. My wife and I have the lives of our two amazing children, and there is no blessing richer or any way we could be more thankful. Bryan Carter is an author, business owner, father, and husband. He lives in Ridgeland, Mississippi with his wife Shelley and two beloved children, Jack and Emma.